EMV chip certified solutions are now available for Microsoft Dynamics AX. As they’re still fairly new, it’s important to ask questions about functionality. EMV chip card acceptance certification is complicated, which is why many companies did not complete their certifications by the October 2015 liability shift. 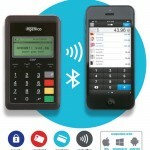 How is pin-debit managed? 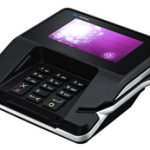 Is EMV chip and pin supported? Can customers bypass entering pin? This is important because whoever supports the highest level of security determines liability for fraud. Is level III data supported? This is important if the customer base includes business to business. For example, building materials distributors have retail and wholesale customers, and qualifying transactions for level 3 interchange rates can significantly improve profits. What are the acquirer options? Can you choose your own, or are you required to use a specific processor? Is P2P supported? Point to point encryption is an extra layer of security to prevent data breaches from malware and other criminal activities. What is the audit trail? Identifying who did what and when is a part of PCI Compliance. Can user functions be limited by job role, required for PCI Compliance? If omnichannel, how will the solution help with all sales channel needs? Christine Speedy, 3D Merchant Services owner, can help guide you through the complexity of choosing the best solution for your business. Which terminal is certified with which processor? From mobile to multilane, Christine’s knowledge and experience will help you implement faster, and take the pain out of consulting with multiple vendors that come up short on solutions. This entry was posted in CenPOS, EMV, Equipment-POS, ERP, level 3 processing and tagged Microsoft Dynamics AX by Christine Speedy. Bookmark the permalink.